Previously, we’ve had a look at the SPEEDLINK Decus Gaming Mouse. 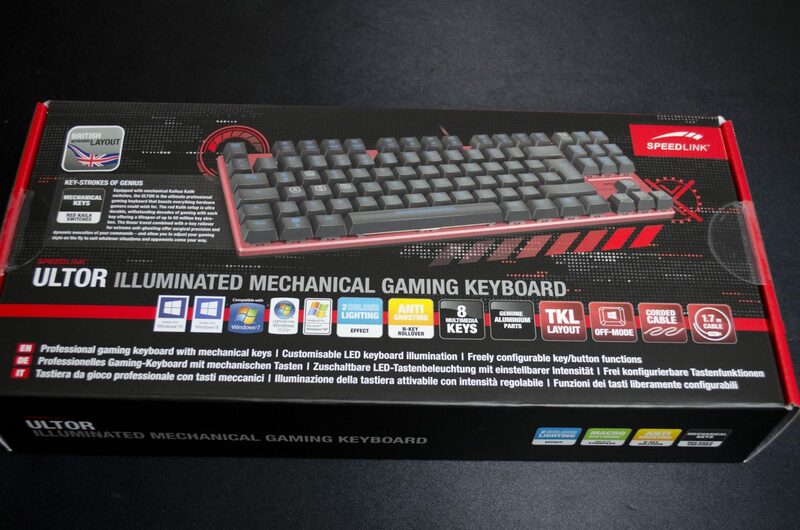 Today, we will be taking a look at their ULTOR illuminated mechanical gaming keyboard. Before reviewing the Decus mouse, I really wasn’t too aware of Speedlink. I had heard of them but really was unfamiliar with their product line and quality of their products. Needless to say, both the Decus and even the Medusa Street XE headphones I reviewed, impressed me. 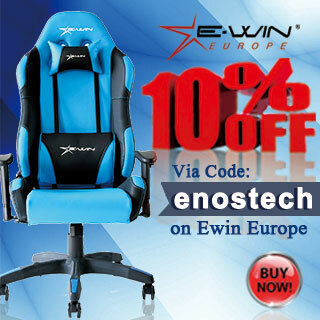 For their respected prices, they offer great performance and quality. 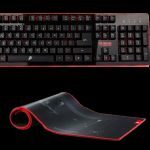 Speedlink has quite the nice range of products covering everything from gaming and notebook accessories all the way to speakers, headset and even some tablet accessories. 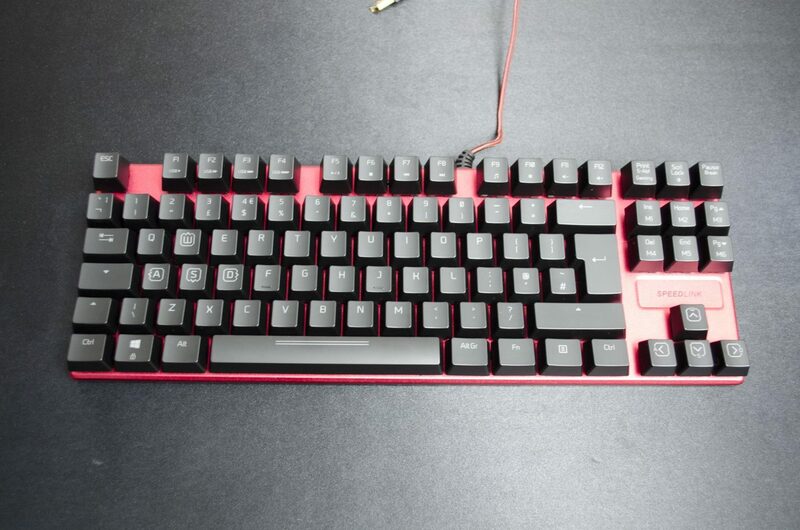 The ULTOR is a TenKeyLess keyboard that features a red housing, so will go great with the Decus mouse. 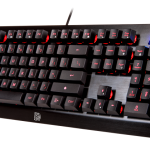 At the heart of the keyboard are red Kaihua Kailh mechanical switches that have not only been optimized for gaming. 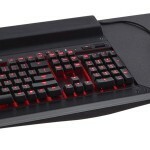 While everyone wants the best quality money can buy, not everyone can afford the top of the range Cherry MX based keyboards so it is great to see companies like Speedlink trying to come out with more affordable alternatives. 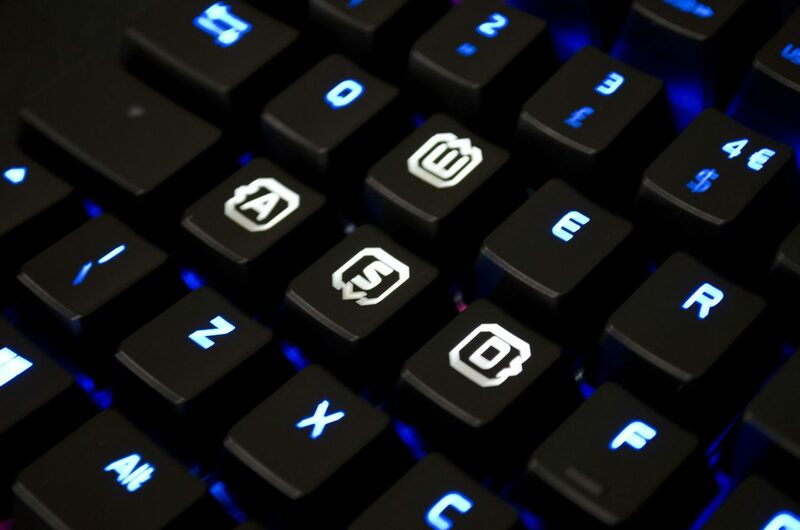 As with most gaming keyboards these days, the Ultor can be customised and set up to each individual user’s liking. With a changeable polling rate of up to 1,000 HZ, N-key rollover and auto loading gaming profiles, the Ultor is sure to be a great companion for the heat of battle. Taking a quick peek at the box and on the front, there is a nice image of the Ultor in all it’s glory. 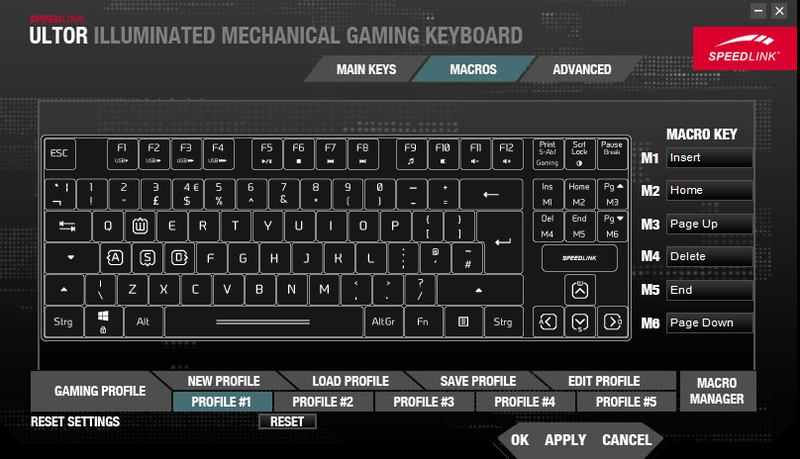 There is also a bit of information regarding some of the feature it comes with and an image in the top left letting us know which layout the keyboard features. 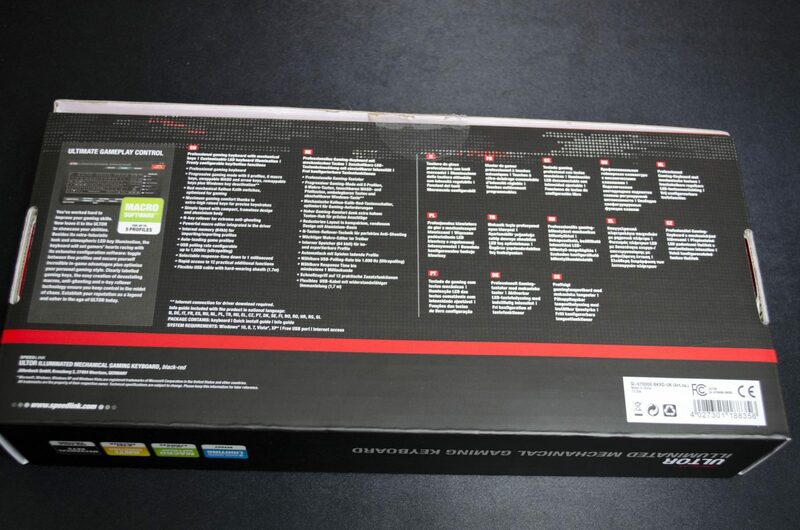 On the back of the box, we get some info regarding the setting up of Macros as well as a bit more description on some of the features it has to offer. 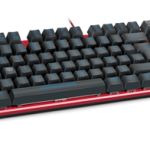 The Ultor is a TKL keyboard that features a red aluminium frame. As far as branding goes, there is only a tiny SPEEDLINK logo just above the arrow keys and that’s it! Speedlink was obviously going for simplicity and it would also appear they wanted it to match their Decus mouse, which it does perfectly. 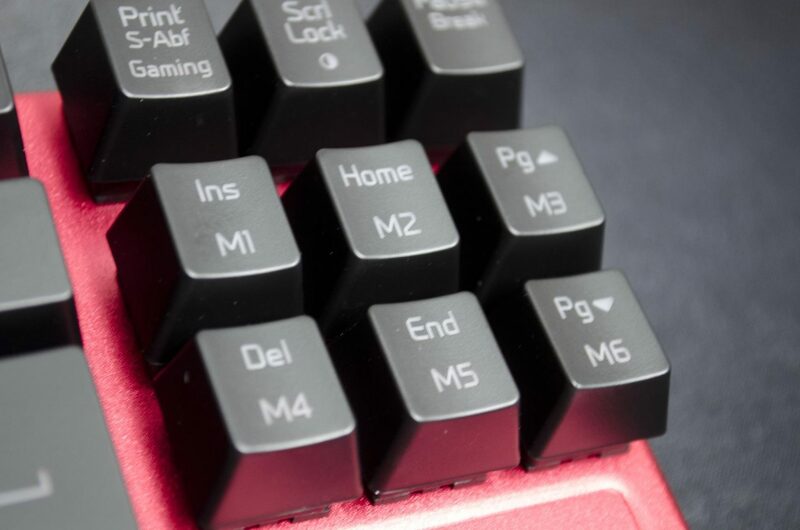 The keycaps seem to be your standard laser-etched ABS and feature an easily readable font. 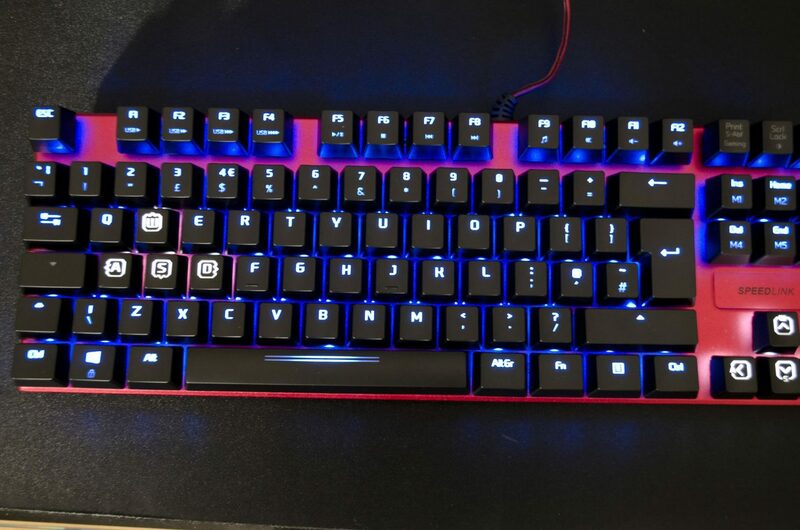 Sometimes on the more budget friendly keyboards companies choose some funky fonts, but Speedlink has decided to go with a more normal one on the Ultor, kudos! While you can bind keys to whatever you like VIA the software, there are some semi-dedicated macros keys. 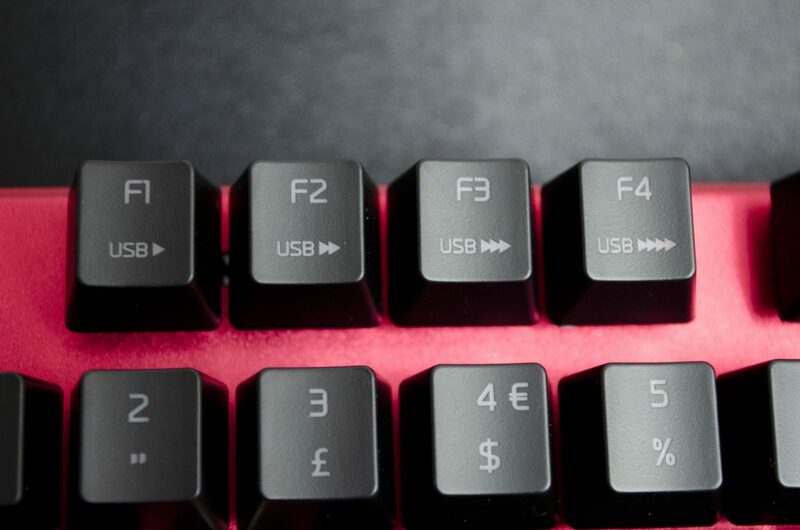 Speedlink has included M1-M6 keys on the keys that are found above the arrow keys on the right side. Per standard configuration, they are set to do what the key says, but you can easily set up your macros and bind them to these keys as they don’t get used a lot, generally speaking. Looking to change your USB polling rate? Well, with a simple hit of the FN key and one of the F1-F4 keys, you can change it between four different speeds, of up to 1,000HZ. 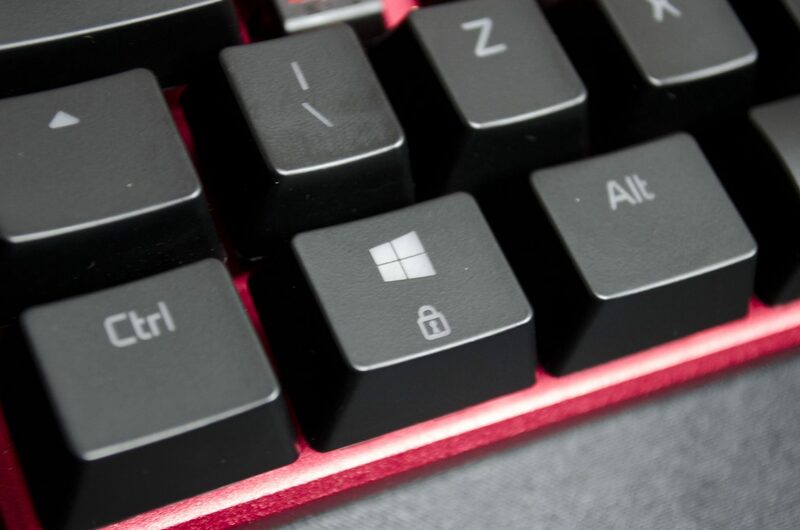 As this is a gaming keyboard, it’s only right that it has the ‘Windows Lock’ key. This will allow you to literally lock the windows key so when you press it, nothing happens. This can be very beneficial as it is easy to hit by mistake and in some games, it can minimize the game and open your start menu, losing you the battle. This, in my opinion, is one of those features that needs to be on any keyboard that tries to label itself as a ‘gaming’ keyboard. Here we can see the individually backlight red Kailh switches. Kailh switches were one of the first spin-offs from the Cherry MX switches and are still quite popular to this day. 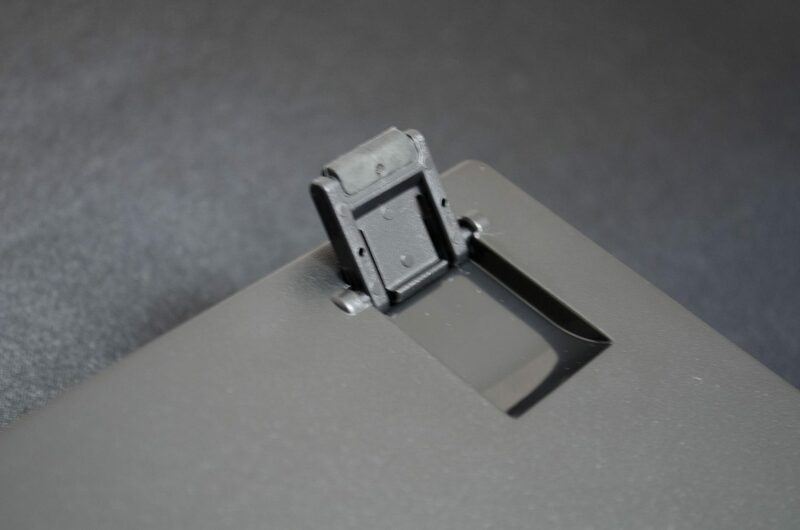 Kailh even helps manufacturer custom switches for other companies who are looking for that extra bit of customization. Fairly standard underside to the Ultor. As the cable comes out of the top middle, there are no routing options but we do have two flip up feet for ergonomics and a few anti-slip pads. The Ultor features a braided USB cable that looks identical to the one found on the Decus mouse. 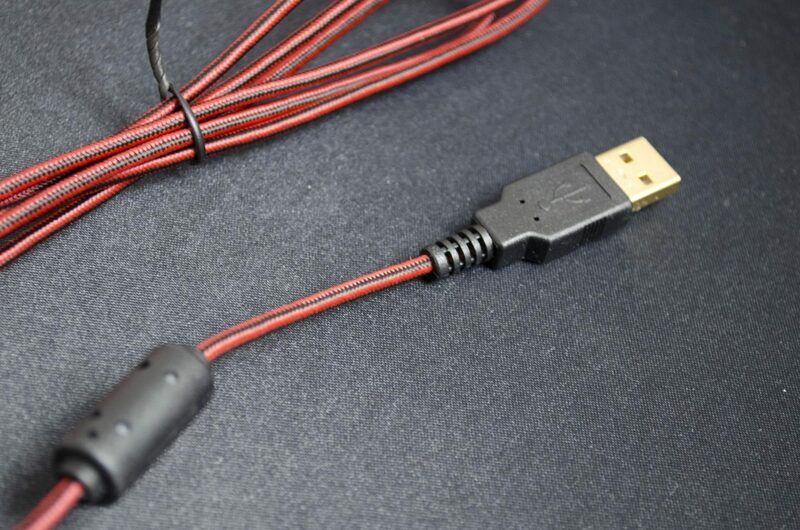 Braided cables not only add a more pleasing look, they also help support the cable better. The Ultor does come with a backlighting as we have seen. However, it is a bit of an odd one. 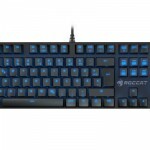 The primary backlight is blue, but the WASD add arrow keys have a white lighting to them. In my testing, I could not find a way to change this and am pretty sure that there is no way to do so. While it doesn’t look bad, it would have been nice to have the keys all light up the same colour! There isn’t much to the software for the Ultor, but it is still very welcome.The software will allow you to customize the keys, set up macros and you can even change the polling rate and key response time from here as well. That’s pretty much it as well, there are a few tabs that you will need to switch between to see all the options but as said, it is quite easy to navigate and work everything out. So, after thoroughly testing this bad boy and probably playing a couple more games than I needed, I think it is time to wrap this review up. 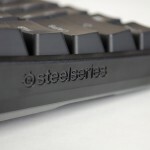 The Ultor is a basic TKL keyboard that has some of the more sought after gaming features from today’s keyboards. 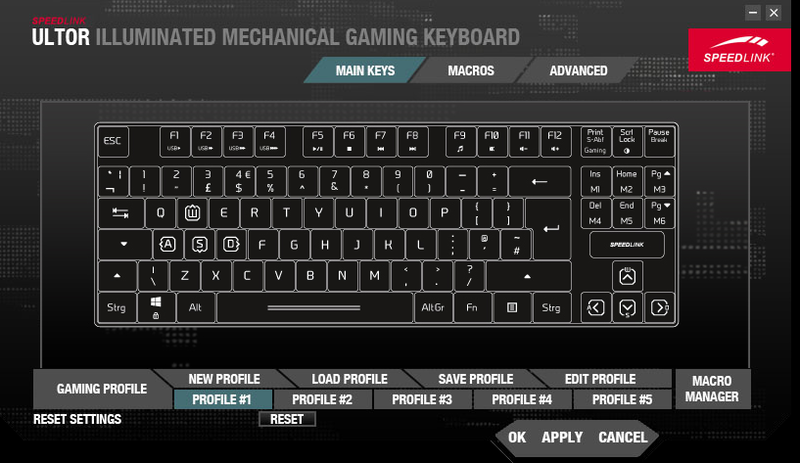 The windows lock feature and semi-dedicated macro keys are sure to come in handy and help you in the heat of battle. Featuring Red Kaihua Kailh switches, the Ultor offers good all around performance. 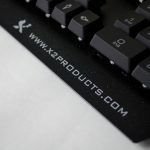 While it is a gaming keyboard by name, it will still be suitable for day to day activities where a Numpad is not required. The red switches are nice to type on thanks to the higher raised keys. When it comes to gaming, the Ultor is equally as impressive. 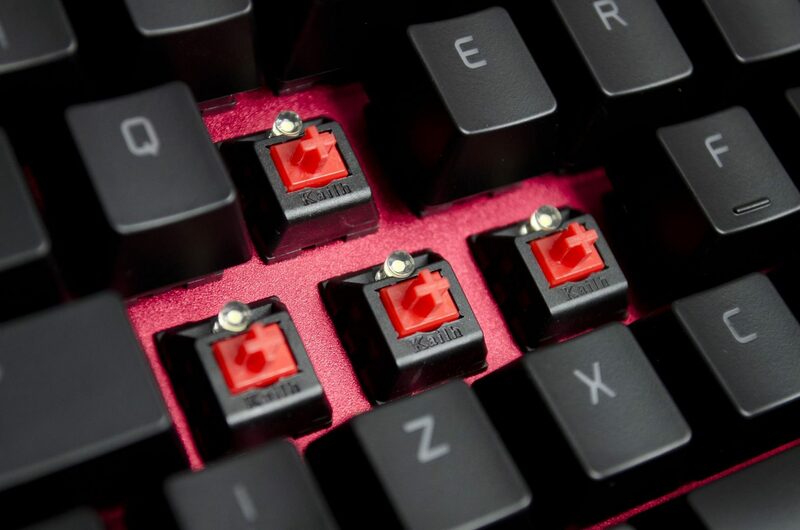 Red switches are known to be great for gaming and they never seem to disappoint. As with the Cherry MX switches, the Kailh red switches are linear and non-clicky and are said to be a great all-around switch. Speedlink has done a great job at making sure the Ultor offers great performance at a price that won’t break the bank. 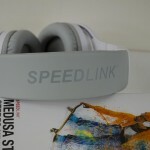 Speedlink has also done a great job in the design department. The Ultor is a compact TKL keyboard with VERY minimal branding. 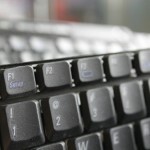 In fact, there is only one small Speedlink logo on the front which is found just above the arrow keys. 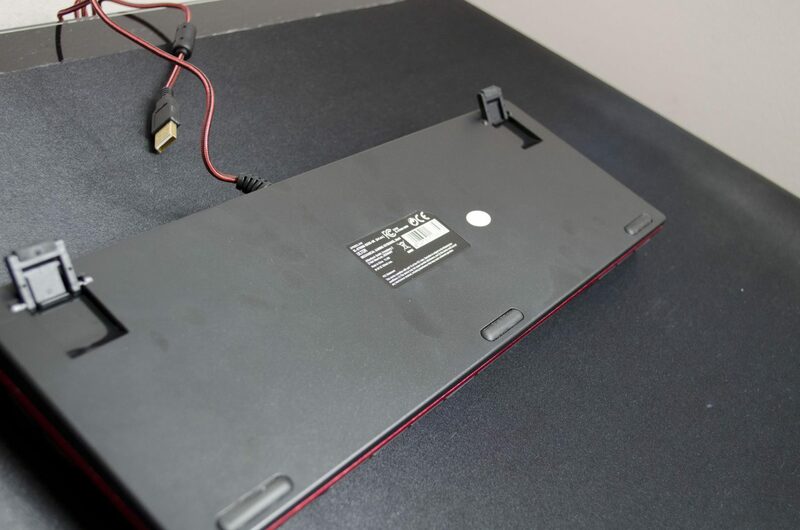 This keyboard appears as if it was designed to go along with the Decus mouse as it features the same red colour scheme and even has a similar braided cable. Aesthetics aside, the Ultor is also designed to offer gamer’s the features and customization they need from a TKL keyboard. 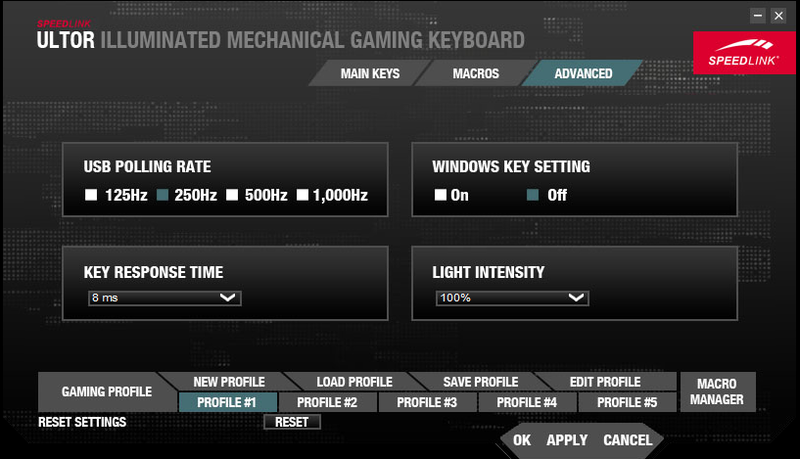 Users will be able to change the polling rate and key response times, as well as being able to set up macros to the semi-dedicated macro keys and utilising the two-tone backlighting. My only real gripe with the Ultor from a design aspect is that you can’t set all the keys to has the same LED colour, it would’ve been nice to set them all to blue or white. While I can understand why the gaming keys are a different colour than the rest, it would’ve been nice to be able to customise this to the user’s preference. 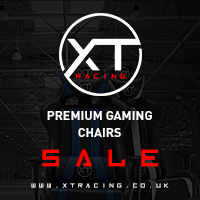 When it comes to the price, the Ultor can be had for just shy of £80 here in the UK. This isn’t quite the price point we would hope for a keyboard that features Kailh switches, but it’s not all bad. 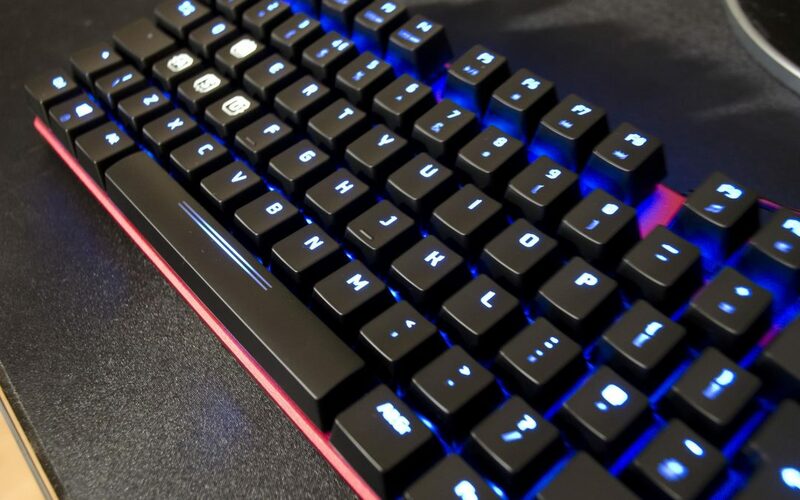 This pricing is fairly on point with the pricing of keyboards that feature the Cherry MX switch. In most cases, Kailh variants of keyboards are cheaper, though they still do offer come performance. Personally, I feel the Ultor would be a much more viable option if Speedlink could get the pricing down a bit, say the £60-£65 range. While it is not terribly over-priced, I do feel there has been some wishful thinking done here. When all is said and done, the Ultor is a good keyboard that performs well and won’t let you down. 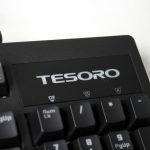 If Speedlink can work on the pricing just a tad, this would be an even more tempting TKL option. One of the things I liked is the fact it will go perfectly with their Decus mouse which also offers some great performance and at a great price as well. 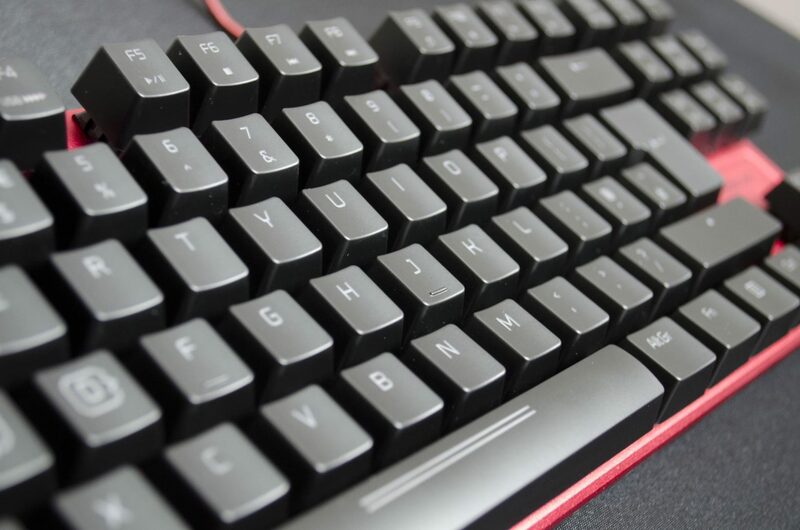 Speedlink has done a good job overall and I do look forward to seeing if they will release and updated and/or cheaper version of the Ultor or some sort of TKL mechanical keyboard in the future. Many thanks to Speedlink for providing a sample for this review! 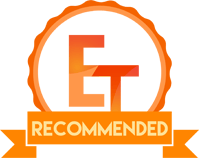 Want to discuss this review further, head on over to the Speedlink Ultor thread, in the Enos Tech Reviews Sub-category on the Gaming Exodus forums!